Happy Tuesday friends. Have you seen the new weekly challenge over at Power Poppy? 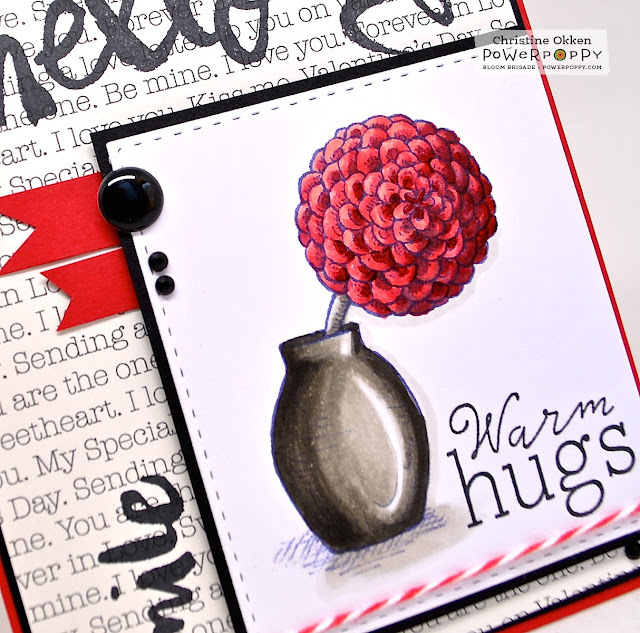 It’s called Hues to Use and each week Julie throws us a colour combination based on an inspiration picture. This week it’s based on this fun picture below that honours Marcy’s mom and her love of the NY Times Crossword puzzle. I pulled out the sweet little digi called Well Hello Dahlia. It has a cute little single bloom in a vase and I knew it would work perfectly with these colours. 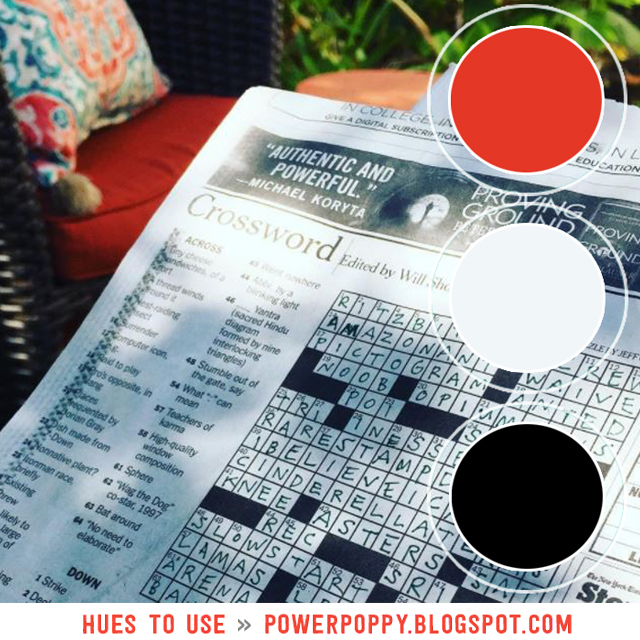 To go with the rest of the inspiration photo and the crossword theme, I combined two other Power Poppy sets, Big Scripts and Nice Things to Say, in the background stamping vertically and horizontally, on text designer paper, to give the feeling of the crossword. A couple of enamel dots, twine and flags finish it off. Now....for fun we’re adding a new element to our Hues to Use Challenge beginning today....play along and you could be chosen for a guest spot to design with our next month of Hues to Use! 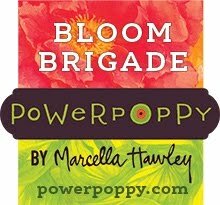 More details today on the Power Poppy blog. Christine, I like the bold red, white and black of this card. The layout design is lovely. TFS. Clever idea, Christine, and it turned out so pretty! Fabulous shine on that vase! Oh how fun and creative to make the words vertical and horizontal to mimic the crossword puzzle -- you are always thinking creatively missy and IT SHOWS! Love the bold pop of color and how it all comes together in this beautiful creation! Very pretty Christine! The sentiments on the background are great idea and so very cool. Such a pretty card with the colors!